bonjour tout le monde! i’m still in paris and have moved from the pretty little apartment in my last post to a more masculine, chic sort of modern place. as opposed to the one we just left which was on the first floor, this one is on the 6th and gives an entirely new perspective of the city. it’s got a great view of the eiffel tower and windows that have caught both a full moon and setting sun. as promised i’ve been talking with madelyn, the founder of paris perfect apartment rentals to learn more about what it’s like to live, work, renovate, restore and deal with the ins and outs of life in the city of light. Continuing our series of interviews with collaborators, we talk to Madelyn Willems of Paris apartment rentals company, Paris Perfect. 1. Where do you come from, how long have you lived in Paris and what brought you here? My father was a US Air Force pilot, and we were posted to Naples and Rome in Italy, and Wiesbaden in Germany. My five sisters and I dreamt of returning to Europe one day. While working as a research analyst in London, I met my future French husband Philippe. He owned a small apartment on rue St. Dominique in the 7th arrondissement (district). When he joined me in London we rented it to family and friends and Paris Perfect was created. 2. What is your profession and how did you get into that line of work? Before we founded Paris Perfect, I was a buyer for a California department store chain, got an MBA at Stanford, and then became an equity analyst and institutional banker. Philippe was a cardiac surgeon. We got into remodeling and managing Paris apartments by accident, when we rented out Philippe’s apartment to friends who were keen to experience the Paris lifestyle. We owned the first two apartments. But then former guests asked if we could help them find an apartment in Paris with the same wow factor and to help remodel and manage it while they were away. In keeping with my very high standards, I want every home to be warm and welcoming, with impeccably clean linens, warm duvets, and thoughtful gadgets such as Nespresso machines. Both guests and owners appreciate the way our team maintains and manages the apartments. We’ve invested in our own laundry, a fulltime maintenance person, and an office that is open seven days a week. Since it’s hard to handle every little detail for our guests, we limit our family of owners and retain our cleaning and maintenance services exclusively for them. 3. Had you done/do you do the same kind of work in a different part of the world? If yes where, and how is working there different from working in Paris? We’ve done similar work in the UK but the quality of builders and finish is consistently better in Paris. The purchase prices and building costs are higher in London. We’ve also found that the purchase process is more straightforward in France than in the UK. Part of the advantage of Paris is personal, however, because we’ve been remodeling in Paris for decades and have a trusted team. We’ve remodeled more than 50 apartments in the past few years. So we’ve learned how to squeeze in a second bathroom without losing the sense of space, the best lighting, just how many is enough electric sockets, well-placed storage, and comfortable, attractive furnishings. 4. What were the biggest challenges Paris had in store for you, both in terms of working here and living here? We commute between London and Paris every other week, just over 2½ hours door to door, which is easy thanks to the Eurostar. Doing business in France is always a challenge, with the administrative rules and paperwork, but we’re fortunate to have a brilliant team on the ground. For all the frustration, nothing beats the quality of life in Paris. In managing apartments in Paris that were already finished or remodeled with the owner’s own builders, we’ve seen our share of disasters – from inaccessible hot water tanks to unsafe wiring. It really pays to know you can trust your builders when tackling an apartment renovation project in Paris. 5. In terms of your profession, how has Paris real estate changed over the past 10 years? Despite the internet it’s the same as 10 years ago if you’re looking to buy an apartment –difficult. There is still no multiple listing service and over 3,000 small agencies who don’t share listings. If you’re not here on the ground or don’t have a diligent search agent, the search takes longer and is more difficult. Prices have gone up over ten years, but had lagged other major cities for the previous 25. 6. Which neighborhood do you live in and what made you decide to live there? When we’re in Paris we stay in the 7th arrondissement where Philippe spent almost 20 years. We love the village-like atmosphere and close proximity to the boutiques and museums of other favorite neighborhoods, the fabulous open-air markets, and the top-notch food shops. Our children have known the pharmacist, cheese shop, local pastry shop and favorite boulanger since before they could walk. We picnic or go jogging in the Champ de Mars Gardens, where our two children used to play. 7. If you could live in a different Parisian neighborhood, which one would it be, and why? 8. What would you miss the most about Paris if you were to move away? There’s so much I miss when we’re not in Paris: early morning jogs or walks along the Seine, especially in winter when the light is magic; the sunrise behind Notre Dame; seeing the bridges in sunlight and how the light changes throughout the day. We can’t go for long without visiting our favorite restaurants, like Café Constant and Au Petit Sud Ouest in the 7th, or buying our favorite baguettes on rue Saint Dominique and the best croissants on rue de Grenelle. 9. Is there one hidden treasure (specific fabric store, website, a certain booth on the flea market, etc.) or resource that you find indispensable to your work here? Please share. A spot you must experience is Dreyfuss fabrics and Reine below the Sacre Coeur in Montmartre. Go soon because this neighborhood is changing fast. It was the old fabric quartier, but is now converting to souvenir shops. Bring your curtain sizes since you’ll even find a shop to make them up immediately so you can carry them home. 10. 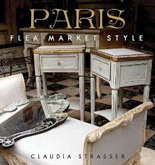 If you could offer one piece of advice to a first-time buyer in Paris, what would it be? Can I share three? First, get a good licensed search agent. They dig through hundreds of listings published by thousands of agents each day to find the gems. They know all the streets, the desirability of certain buildings, the unknown problems a buyer may be unaware of. Second, if you walk in and your heart soars – and the property has the no-budge essentials such as an elevator – go for it. If your agent tells you the apartment will be grabbed up, make the asking price offer on the spot. Don’t negotiate because you may lose it to a higher bid. Third, if the property is almost perfect but not quite, give it the 24 hour rule and see how you feel the next day. For example, it might be on a lower floor when you wanted to be higher up; it may have no elevator but is only on the 2ndfloor; or it overlooks a courtyard but you wanted a street view. “Needed a gut job” is rarely a constraining factor for us, since we prefer to know how the electricity and plumbing were installed. so there you have it, the truth from Madelyn, an american who is a really living the dream and sharing her knowledge and experience as well as expertise. i’ll profile her a bit more later but want to get out before the rain comes this morning although i have to admit it’s as hard to get out of this comfy bed as the last one. have a bonne journée! September 7, 2017. Decorating, Interiors, Kitchens, Layon apartment, Living, Madelyn Willems, Paris, Paris Apartments, Paris Perfect Apartment Rentals, Paris Trip, Real Estate, Travel. Great interview! She was really at the right place at the right time with the right idea. September 7, 2017 at 10:54 am. Permalink. 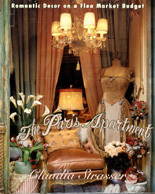 I find this life of restoring/remodeling apartments in Paris and UK DREAMY! I know its hard work, but……………!! Sigh. September 7, 2017 at 12:48 pm. Permalink. September 12, 2017 at 2:21 am. Permalink. September 19, 2017 at 1:18 pm. Permalink.